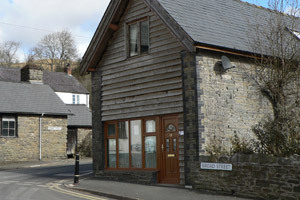 This is the personal website of Hermione Evans, an experienced private Chartered Physiotherapist and Complementary Physiotherapist based in New Radnor, Powys, Wales. Hermione Evans is a member of the Chartered Society of Physiotherapy (CSP), as well as PhysioFirst (The Organisation of Chartered Physiotherapists in Private Practice) and has been a Chartered Physiotherapist for over 40 years, having graduated with distinction from The Royal London Hospital. She specialises in physiotherapy, cranio sacral therapy, yoga as therapy, reiki, reflextherapy and visceral manipulation. Find out more about Hermione Evans, Chartered Physiotherapist. Hermione treats a broad range of conditions, but specialises in the treatment of chronic and acute pain, particularly back and neck pain. Physiotherapists have a wide range of treatment techniques designed to relieve pain, aid recovery, restore good health and help patients to prevent the same thing happening again. Hermione always fixes me! Her combination of healing therapies and exercises for me to do at home result in my never needing more than 2 appointments and the ailment for which I visited never recurs. Genius! A superb feeling after visiting many different professionals over the years, Hermione … is more than a physiotherapist with all her differing techniques in complementary medicine. Tell all your friends and family about her!